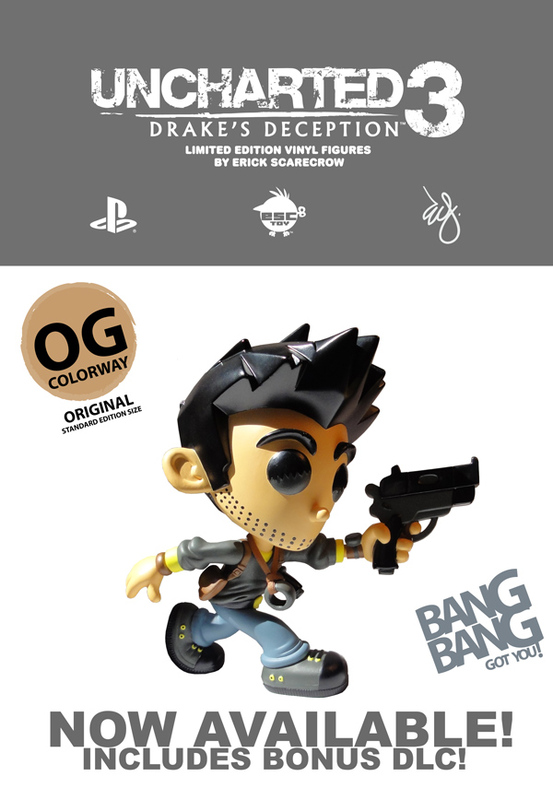 Following last month’s reveal of the Gold Artist Proof Unchartered Drake, Erick Scarecrow is proud to reveal another 3 super-limited editions that will be making their way to the ESC Toy store this Friday (April 13th). 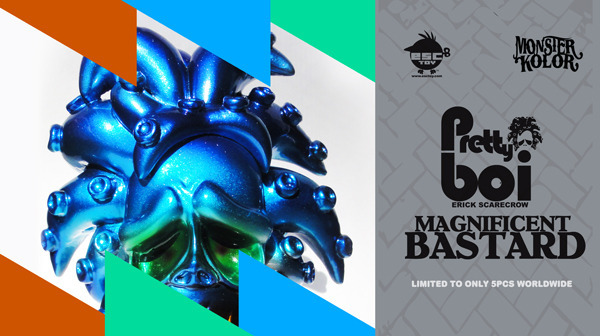 First up we have ‘Limon’ and ‘Silver’ Drakes; 2 custom painted edition of 15 and 5 that will be retailing for $250 and $400 respectively. Both colourways offer the chance to win an exclusive 8″x8″ original Drake illustration that will be making its way to the lucky collector who finds a GOLD Soopa Coin-UP Bros coin packaged with their figure.